Through supporting over 100 transactions and three customized lending products, Urban Advisors has facilitated creation of 9,500 jobs, rehabilitation of 500 mixed-income housing units and blighted commercial real estate, and deployment of $650 million to underserved entrepreneurs. We focus on tackling and reversing quality of life disparities in markets that experience lack of upward mobility. 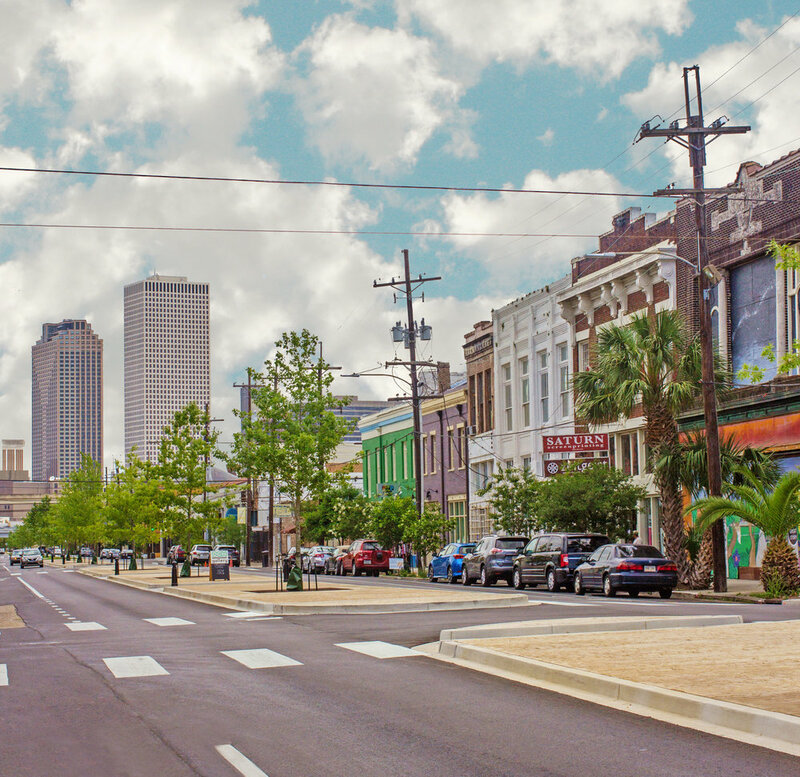 Urban Advisors designed program related investments (PRI) on behalf of Foundation for Louisiana (FFL) to combat homelessness, blight, and capital access challenges for small businesses. The PRI strategy revealed a pathway for FFL to create both a sustainable operating model and impact investment thesis. Notable projects under this strategy included financing along the O.C. Haley corridor. As a result of the work with FFL, hundreds of working poor families and entrepreneurs have ongoing access to sustainable housing and working capital, playing their part in the revitalization of New Orleans and the surrounding areas. Additionally, FFL is positioned to become the anchor organization for mission investment in the southern Louisiana corridor. Urban Advisors structured a $7 million Detroit-based impact investment loan fund focused on serving entrepreneurs of color. The fund included a technical assistance program for current and prospective borrowers. The loan fund sought to leverage existing capital resources within the city of Detroit. Detroit Development Fund, a local CDFI, provided the lending platform; JPMorgan Chase and W.K. Kellogg Foundation provided the investment capital to reach the $7 million total. As of December 2016, 45% of the loans supported minority women-owned businesses. 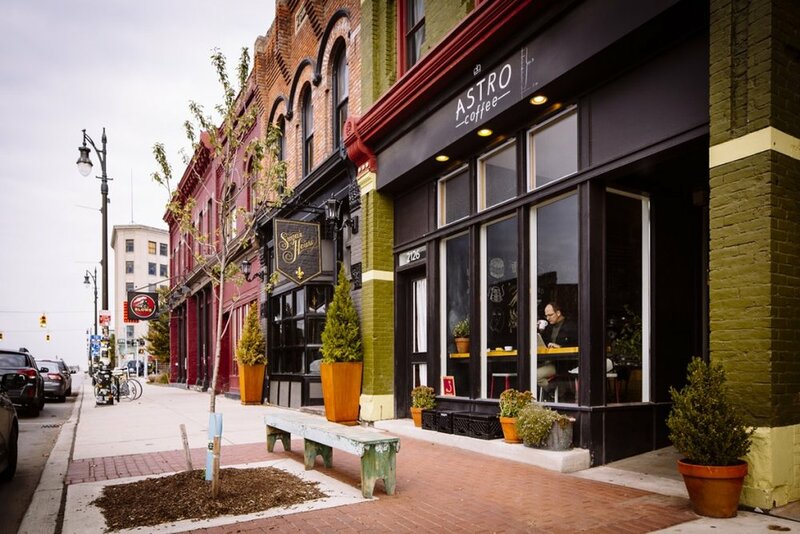 Urban Advisors structured the Detroit Entrepreneurs of Color Fund so that entrepreneurs could share their business growth with the community through job creation, blight removal, and neighborhood revitalization. Urban Advisors negotiated and structured the land acquisition transaction, which resulted in the securing of $20 million in total financing (New Market Tax Credits and senior debt) - was engaged by an institutional funder to assist Broad Community Connections in the pre-development of the ReFresh Project. More specifically, Urban Advisors helped to as a requirement to develop the Refresh Project. The ReFresh Project turned a formerly vacant building – located at the intersection of several historic neighborhoods, including Tremé, Faubourg St. John and Mid-City – into a 60,000 square foot ‘fresh food hub,’ revitalizing an area that was previously known as a ‘food desert.’ This is a traditionally underserved area, with high poverty and unemployment rates. Urban Advisors structured a funding round for Opportunity Fund on behalf of an institutional funder. Opportunity Fund is a micro lender and technical assistance provider that operates within the state of California and primarily serves the Hispanic community. The funding round helped to capitalize the organization’s EasyPay alternative loan product, which enables borrowers to access its cost-effective Merchant Cash Advance product. Borrowers are primarily retailers, especially restaurants, with high small dollar volume. As of August 2017, the overall organization is projected to invest $500 million to drive economic mobility for 50,000 underserved entrepreneurs, students and working families by 2020. 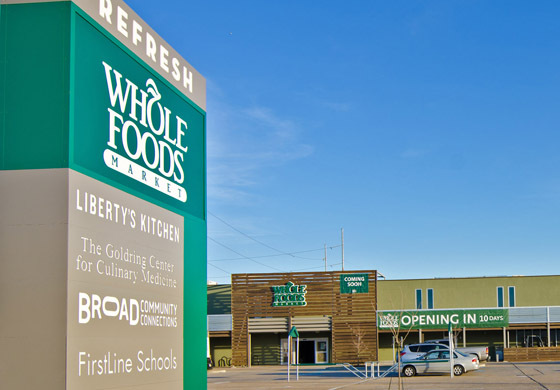 Urban Advisors was engaged to help design and structure the financing and social benefits associated with the renovation and equipment acquisition of the Revolution Foods Louisiana food processing facility. Urban Advisors was engaged to structure and design and creative ownership financing model for a newly constructed renewable energy facility. Urban Advisors was engaged by a socially- oriented funder to evaluate the overall landscape for immigration finance providers within the United States. Urban Advisors was engaged to structure a Program Related Investment (PRI) to Northern Economic Initiatives (NI), a Northern Michigan- based Community Development Financial Institution (CDFI). Urban Advisors was engaged to structure and underwrite a Program Related Investment (PRI) for a business incubator facility. The deal structure included Historic Tax Credits, PRIs and Grant Proceeds.